SI feature story: Mike Babcock once worked in a slaughterhouse. Now he's trying to raise the dead in Toronto. This story appeared in the Oct. 5, 2015 issue of SPORTS ILLUSTRATED. To subscribe, click here. There is Summer Mike and Winter Mike, his wife, Rene, likes to say, but his passion does not change like the seasons. Words tumble out, elbows up, jostling. One Babcock staple is “fantastic,” and here he taps the brakes, drawing out the first syllable with a flat a. Another is “hard,” and he hits the r like a cartoon pirate. During an expansive answer he might refer to himself in the third person, the way Elmo does on Sesame Street, but there is no scrollwork in his man’s-man speech. Babcock went shirtless under his slaughterhouse slicker. In that Toronto hotel, gazing out on tacking sailboats on Lake Ontario, he wore a blue-and-white Maple Leafs golf shirt. 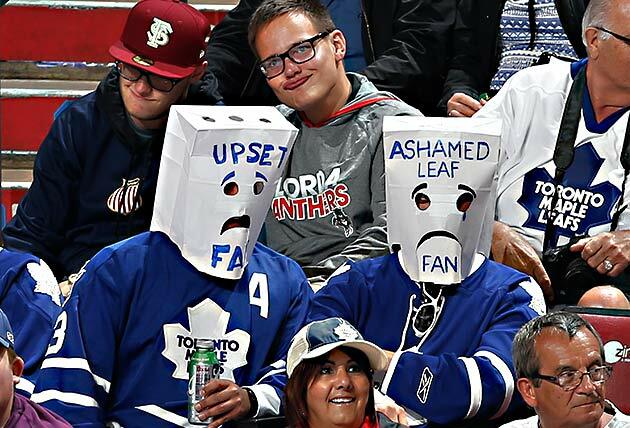 From abattoir to the Leafs ... the jokes just write themselves. In the carnivorous NHL, the Maple Leafs have been offal. Toronto has made the playoffs just once since the 2004–05 lockout—in ’13 it blew a 4–1 third-period lead and lost Game 7 to Boston in overtime—and is a 100‑to‑1 shot to win the 2016 Stanley Cup, according to the Westgate Superbook. After Randy Carlyle was fired last January, the team took a knee under interim coach Peter Horachek, finishing 9-28-5. Sixty-eight points was the franchise’s lowest total in a non-lockout season in almost two decades. But the shabby performance of the thick-wallet organization, the only hockey team listed among Forbes’s 50 most valuable sports franchises, is better filtered through the membrane of history. Toronto has won 13 Cups, second only to Montreal’s 24, but none since 1967, nine months after color television was introduced in Canada. Since the ’67 expansion, Toronto players have won a major regular season award—Hart, Art Ross, Norris, Vezina, Rocket Richard, Selke, Calder—just once. Despite employing men of hockey pedigree—president Ken Dryden (six Stanley Cups), general manager Brian Burke (2007 Cup), and coaches Pat Quinn (’02 Olympic gold medal), Ron Wilson (’96 World Cup) and Carlyle (’07 Cup)—no one has found a cure for what Burke calls blue-and-white disease, the complacency that infects some players in the nexus of the sport. Toronto is home to NHL hockey operations, television networks that are financial struts for the league (Sportsnet is entering the second year of its 12-year, CA$5.2 billion contract) and 566 youth teams in the Greater Toronto Hockey League, but the heritage franchise has been a punching bag when it hasn’t been a punch line. In July they shipped Phil Kessel, who averaged 30 goals in six seasons with the Leafs, to Pittsburgh, but last month they traded for the swift Michael Grabner, a premier penalty killer who once scored 34 goals in a season. They also hired a special assignment coach, Jacques Lemaire, who will, Babcock says, “coach the coaches.” Displaying his bedrock self-belief, Babcock asked for Lemaire on his ’10 Team Canada staff; no insecure coach surrounds himself with a hockey brain as fertile as his own. Lemaire, a Hall of Fame center with the ’70s Montreal dynasty, coached a Cup winner in ’95 for the man who is now the Maple Leafs’ GM, a sign of the apocalypse in itself. That’s right, Lou Lamoriello is in Toronto. Hell has frozen over. For 28 years Lamoriello was not merely New Jersey’s GM. He was the Devils in the way Paul Brown was the original Cleveland Browns. Like Mario or Gordie or Rocket, Lou is a one-name hockey guy. After winning three Cups in New Jersey, he ceded the GM job to Ray Shero in May and seemed ready to settle in as Devil-for-life and president of the NHL’s equivalent of the witness-protection program. “The Toronto Maple Leafs are such a departure from the New Jersey Devils,” Shanahan says, “that people would think this was the last place for Lou.” Within 10 weeks, Lamoriello says, he went from “intrigued” to “excited” to filing immigration papers. The hiring was managed without a whisper of industry gossip, a coup so stealthy that it looked like something Lou would do. Lamoriello, who turns 73 this month, has a three-year contract. For the first time in his NHL life, his boss is someone other than an owner. There are two probable endings to this meeting of high hockey foreheads. 1) Led by the conspicuously clever Shanahan, the Leafs draft wisely, develop patiently and trade judiciously. With a GM who provides organizational discipline and a driven coach who teaches and hectors players to new heights, Toronto parades the Cup down Yonge Street. Or: 2) Led by an inexperienced president in Shanahan, Lamoriello, who has no hammer in dealing with a stubborn coach, continues his pedestrian post–2004–05 performance, which included poor signings such as defenseman Vladimir Malakhov, in 2005, and a cap-circumventing 17-year deal with Ilya Kovalchuk that cost the Devils a draft pick and a $1.5 million fine. Babcock, whose Wings won just three playoff series since 2009, finds structure does not equate to victories, and he leaves Toronto early as players chafe at his bristling style. While the strong personalities running the Leafs may be on the same page, the situation devolves and Toronto becomes, regrettably, a Tower of Babs. At a coaching clinic in Regina in June, Babcock offered counsel that had nothing to do with forecheck schemes or breakouts. “These kids you’re coaching,” he said, “one of them is going to be your doctor, one is going to be your lawyer, and one is going to be your boss. Make sure you treat ’em good.” Indeed. Lamoriello was the man who told Shanahan he could play—he picked Shanahan second overall in 1987 in his first draft with the Devils. And after a curtain-call season in New Jersey, in 2008–09, Lamoriello was the one who told him he couldn’t. On Sept. 10, as Shanahan addressed a fan forum in Toronto alongside his coach and GM, the big-boy pants were jeans, no socks. Lamoriello was in a dark suit and a crisp white shirt, no tie. Casual Thursday. In New Jersey, he had no tolerance for grungy two-day beards. And Maple Leafs players, though unwilling to divulge Lou’s rules, reported to training camp looking as if they all walked out of a Gillette commercial. 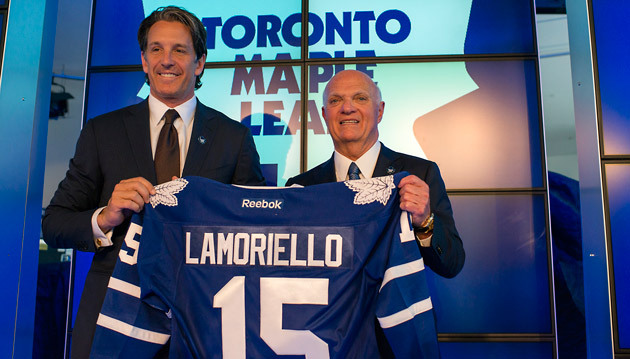 Metaphorically at least, there are no third uniforms in Lamoriello’s world. “Lou’s like an Ansel Adams photograph—black and white,” says an admiring Burke, the ex-Leafs and current Flames president who played forward for Lamoriello at Providence College in the 1970s. This was not the plan. Coaching? Nah, he was going to wear corduroy jackets with leather elbow patches and teach at McGill. Babcock didn’t even become a coach until he returned from a hockey lark as a player-coach in England, and his mother, Gail, wondered aloud if her 24-year-old son was ready to ditch his beer-commercial lifestyle. 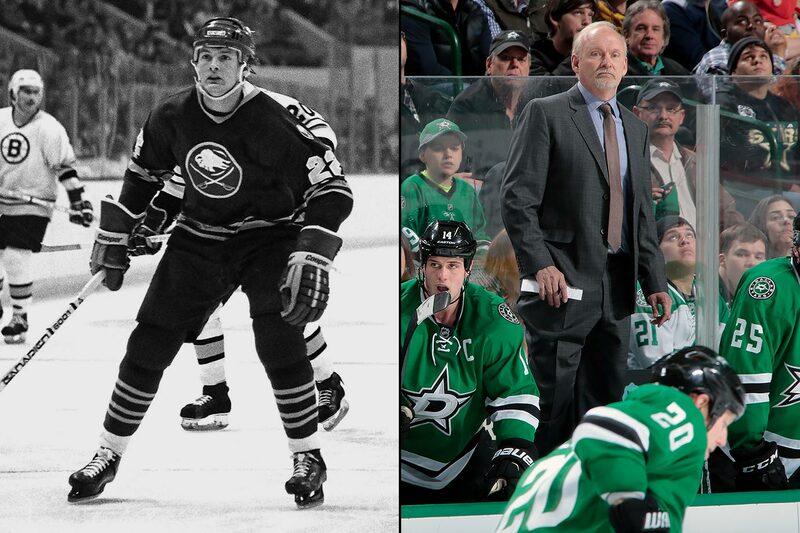 His brother-in-law told him Red Deer College, in Alberta, was looking for a coach. Babcock applied, changed into his suit in the parking lot and aced the interview. The other reason Babcock drove to Red Deer in 1988: It was only 90 minutes from the Calgary Stampede, the biggest summer bash in Canada. The party ended ages ago. Now Winter Mike pushes. Harrrd. After Tampa Bay eliminated the Red Wings last spring, Babcock accompanied Holland to Grand Rapids to watch their AHL affiliate in the Calder Cup playoffs. During the drive Babcock, whose contract would expire in June, asked, “Is my time here up?” The GM told him he had absolutely not worn out his welcome, eventually adding a fifth year to Detroit’s standing offer. 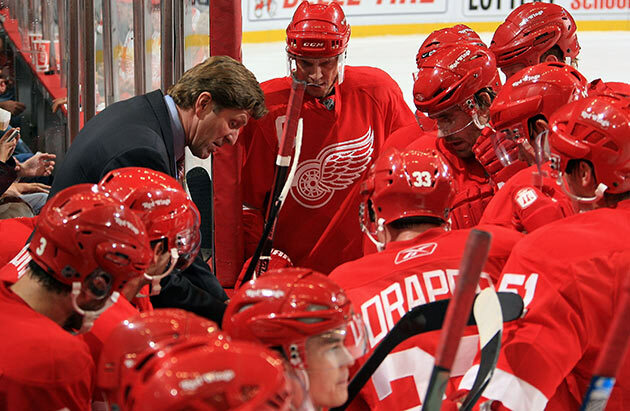 The Red Wings were prepared to make Babcock hockey’s richest coach, even if it had NHL-ready coach Jeff Blashill, now Babcock’s successor, in Grand Rapids. But Detroit was not going to pay more than $4 million per year. If pain is coming to Toronto, so is solvable problem Nazem Kadri, a core player whose erratic performance could benefit from a double dose of Babcock and Lamoriello. (The Leafs suspended Kadri for three games for oversleeping and reporting late to a practice last March.) Mitch Marner and William Nylander, small but nifty first-rounders of the past two drafts, are in the pipeline. In Detroit, Babcock would tweak the management by saying, “Can’t we get some guys with bigger jersey sizes?” At the draft last June, the Red Wings’ table good-naturedly gave it back to Babcock when Toronto took the generously listed 5' 11" Marner, 5' 11" defenseman Travis Dermott and 5' 9" Jeremy Bracco with its first three picks. That is not a lot of beef on the hoof. Borrowing from the Stanley Cup–winning principle of the 2002 Red Wings—nine Hall of Fame players managed nicely with one puck because they all sacrificed for a greater good—the Leafs are convinced that there can never be too much of a good thing. “Nothing’s foolproof here,” Lamoriello says. “This is professional sports.” But if the Leafs show the courage of their convictions, eventually the pain they dispense could be to other teams. Not self-inflicted. A Norris Trophy winner and four-time NHL All-Star, defenseman Randy Carlyle retired after 17 seasons with 148 goals, 499 assists, 647 points and 1,400 penalty minutes in 1,055 games. Through 10 seasons as head coach of the Anaheim Ducks (2005-11) and Toronto Maple Leafs (2012-15), Carlyle amassed a 364-260-80 record. He returned to the Ducks to become their head coach for the second time prior to the 2016-17 season. Nicknamed “Herbie,” he was a slow but smart defenseman in the NHL for nearly 13 seasons with five teams. A first round pick by Toronto in 1978 after a 103-point season in juniors, he never fulfilled his offensive promise and was included in the Leafs’ infamous trade of future Hall of Famer Lanny McDonald to Colorado in ‘79. The Hartford Whalers later named Herbie their most valuable blueliner in ’84 and ’85. Through eight seasons as head coach of the Chicago Blackhawks, Quenneville is 363-181-74 with three Stanley Cups. Tippett starred in junior (Prince Albert) and college (North Dakota) hockey before being named captain of Team Canada for the 1984 Winter Olympics. Undrafted, he signed with the Whalers after the Games and spent 10 seasons in the NHL as a dependable, hard working two-way winger. 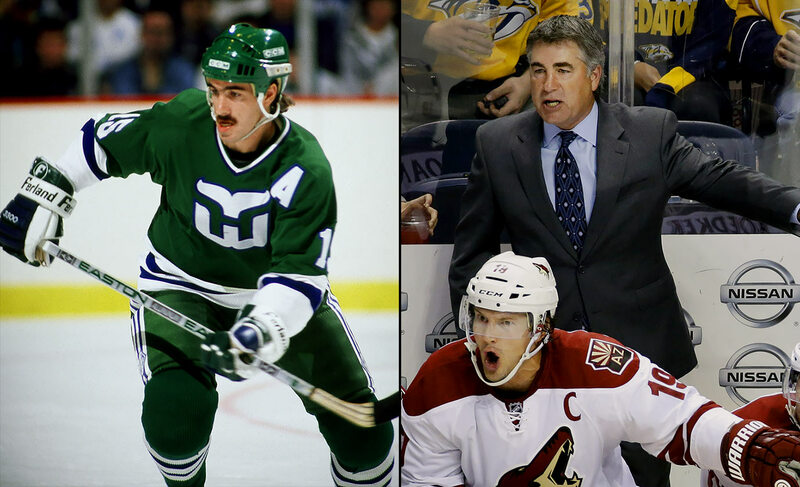 Through seven seasons as head coach of the Arizona Coyotes, Tippett is 252-215-73. The journeyman center had an 11-year NHL career (1991-2002) in which he accumulated 54 goals, 82 assists, 136 points and 203 penalty minutes in 709 games. Sullivan became the head coach of AHL Providence Bruins during the 2002-03 season and was named head coach of the Boston Bruins the following season. On Dec. 12, 2015, Sullivan was brought on to replace then-head coach Mike Johnston, and he went on to become just the sixth head coach in NHL history to win the Stanley Cup after being hired mid-season. 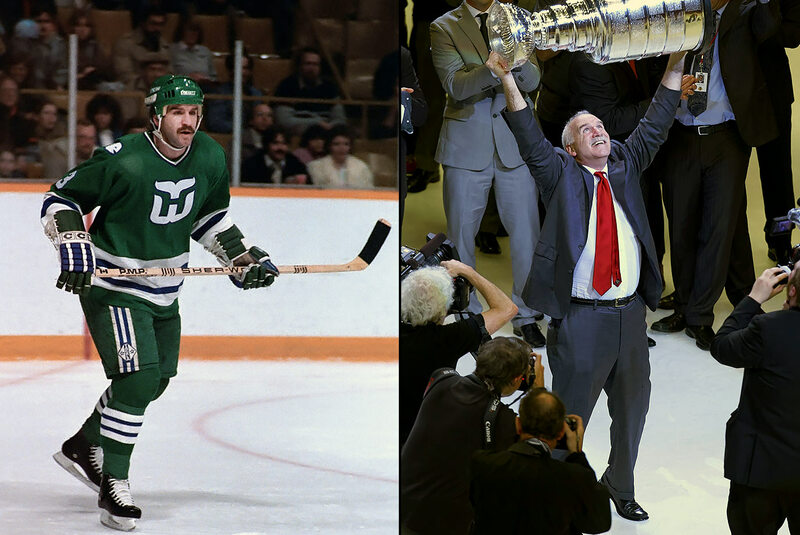 There is no denying that Mike Sullivan is the biggest reason for the triumph. Sullivan’s mentality changed the entire team culture — he got players to buy into his coaching style — and got the Pens going again. Ruff’s last name describes his style of play as a rugged defensive forward for 12 often injury-plagued seasons with the Sabres and Rangers. The quintessential “glue guy,” he was good for 10-20 goals and 20-40 points during his prime in the 1980s. He even spent some time manning the blueline. Through three seasons as head coach of the Dallas Stars, Ruff is 131-85-30. 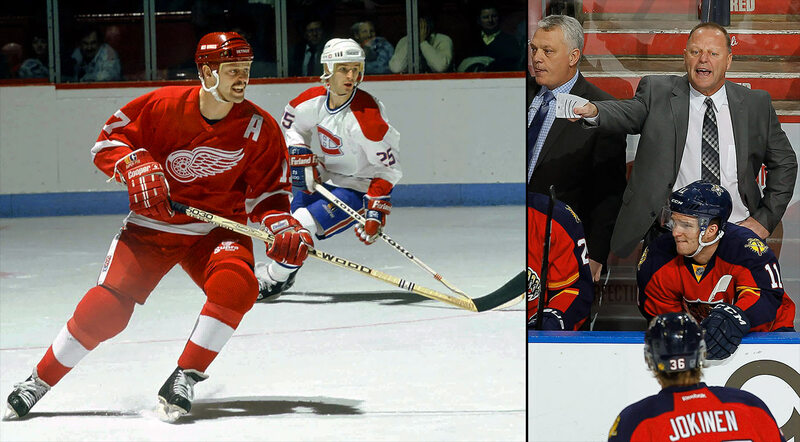 Undersized (5’ 10”, 185) with the tenacity of a junkyard dog, Gallant was a feisty winger on Detroit teams of the mid-80s and early ‘90s that featured the bruising likes of Bob Probert and Joey Kocur. He also had enough skill to skate on Steve Yzerman’s line, scoring 34 or more goals in four straight seasons. He finished his career with Tampa Bay in 1994. Through his first two seasons as head coach of the Florida Panthers, Gallant is 85-55-24. 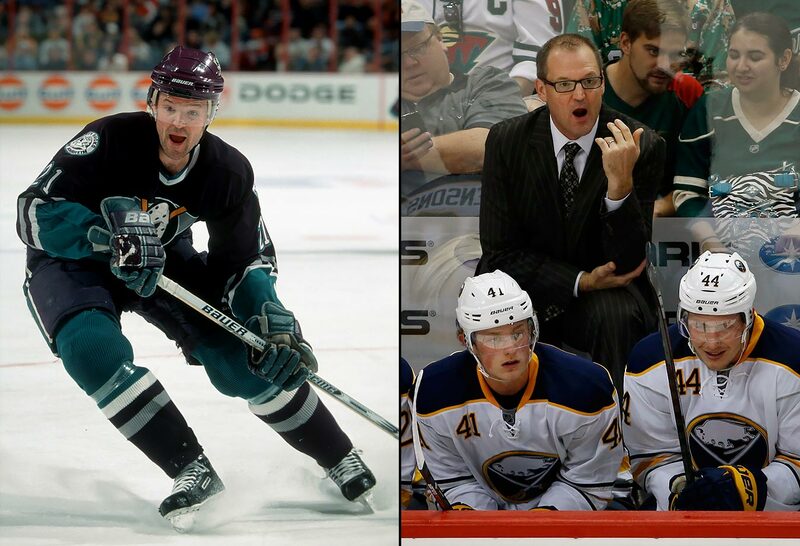 A brainy high school golf and baseball star, Bylsma played college hockey at Bowling Green. He was drafted by Winnipeg in the sixth round of the 1989 NHL Draft but later signed with the Kings. A defensive forward, he spent his nine seasons in the NHL with L.A. and the Mighty Ducks of Anaheim, for whom he became an alternate captain. Bylsma, who coached the Pittsburgh Penguins to a Stanley Cup in 2009 after replacing Michel Terrien through most of the season, was named head coach of the Buffalo Sabres prior to the 2015-16 season. Through his first season as head coach, Bylsma is 35-36-11. 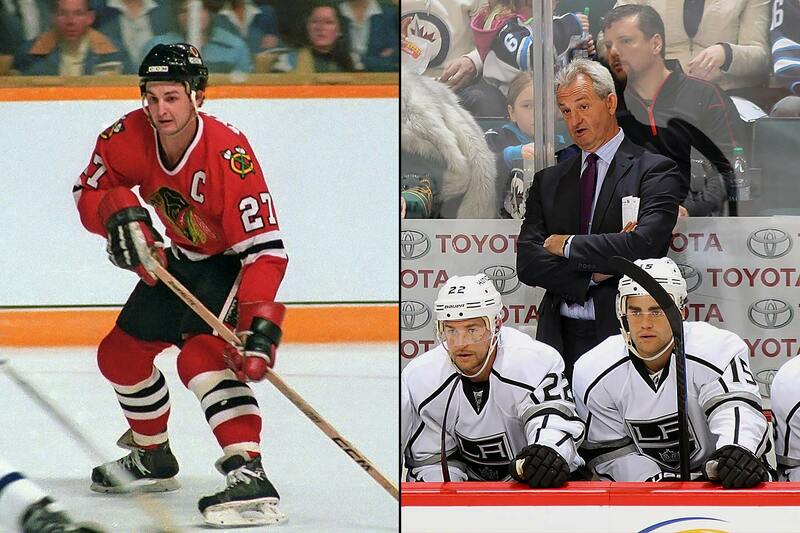 The second of the six Sutter brothers to reach the NHL, Darryl was an 11th round pick by Chicago in 1978. He spent a season playing in Japan before scoring 40 goals for the Blackhawks as a rookie in 1980-81. He later broke Bobby Hull’s team record for most goals during a playoff season (12, in 1984-85). A litany of injuries ended his playing career at age 29. Through five seasons as head coach of the Los Angeles Kings, Sutter is 186-112-45 with two Stanley Cups. A 165-point scorer in juniors, “Gabby” was drafted by Toronto in the third round of the ’75 NHL Draft but began his career with Minnesota of the WHA. His slacker attitude nearly made him a career minor leaguer despite his considerable offensive skills. He managed to surface in the NHL during parts of eight seasons with the Leafs and Blackhawks, his “career year” being an 11-18-29 campaign with Toronto in ’77-78. Boudreau coached the Washington Capitals from 2007-12 and the Anaheim Ducks from 2012-16 with a combined record of 409-192-80. He was named head coach of the Minnesota Wild prior to the 2016-17 season. 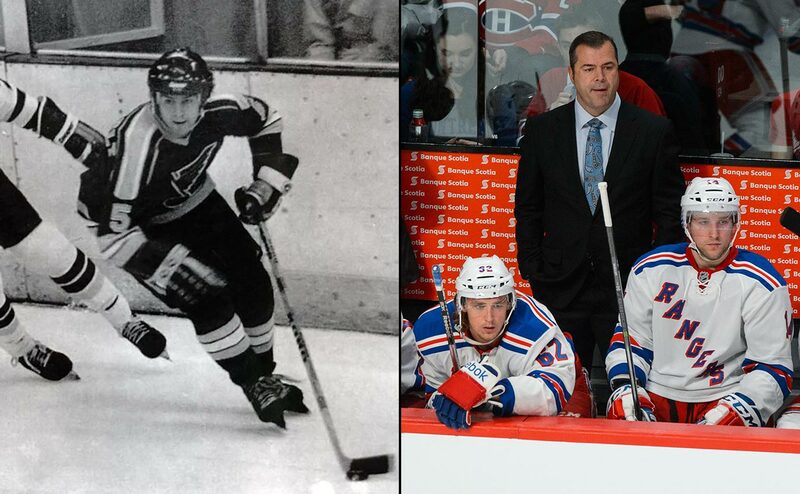 An eighth round pick by the Blues in 1981, Vigneault spent only parts of two seasons in the NHL. His most notable moment in the league might have been the fight he had in his first game, vs. Chicago in ’81. He saw action with the Blues in four postseason games in 1983 (producing an assist and 26 PIM) but wrapped up his playing career in the minors the following season. Through two seasons as head coach of the New York Rangers, Vigneault is 144-80-22.